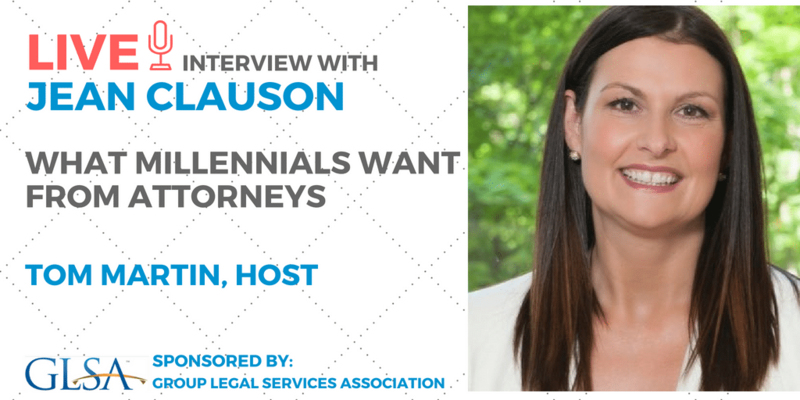 Entitled “What Millennials Want from Attorneys,” this teleconference was an interview of Jean Clauson (@clausonje) by Host Tom Martin (LawDroid) and sponsored by GLSA. 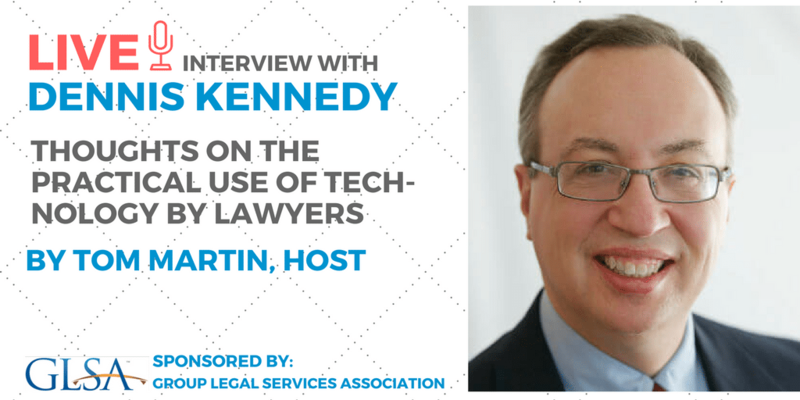 Entitled “Thoughts on the Practical Use of Technology by Lawyers,” this teleconference was an interview of Dennis Kennedy (DennisKennedy.Blog) by Host Tom Martin (LawDroid) and sponsored by GLSA. 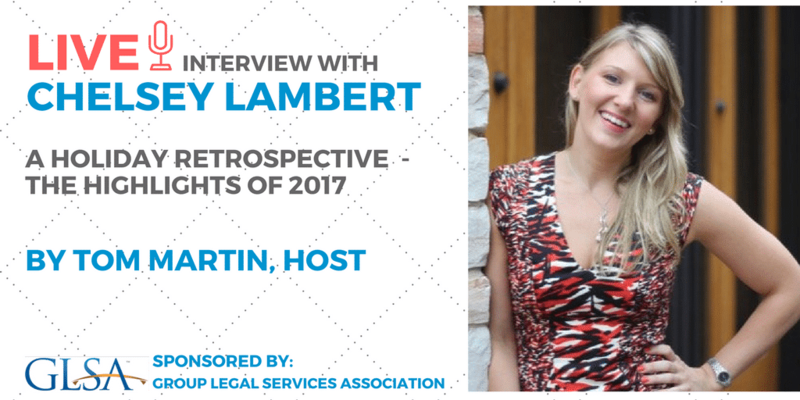 Entitled “A Holiday Retrospective – The Highlights of 2017,” this teleconference was an interview of Chelsey Lambert (Lex Tech Review) by Host Tom Martin (LawDroid) and sponsored by GLSA. 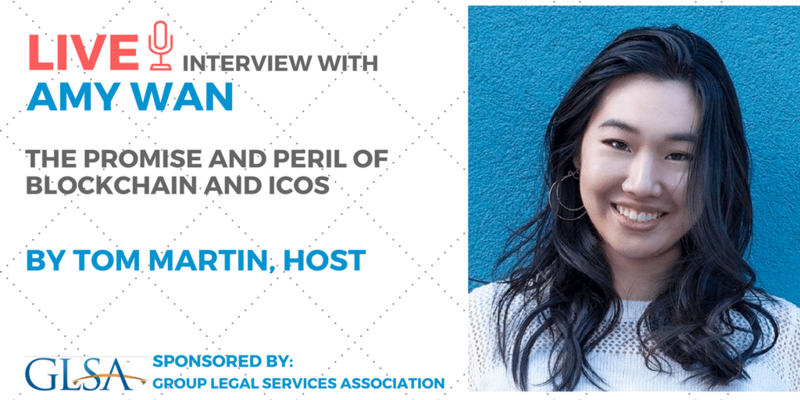 Entitled “The Promise and Peril of Blockchain and ICOs,” this teleconference was an interview of Amy Wan (Bootstrap Legal) by Host Tom Martin (LawDroid) and sponsored by GLSA. 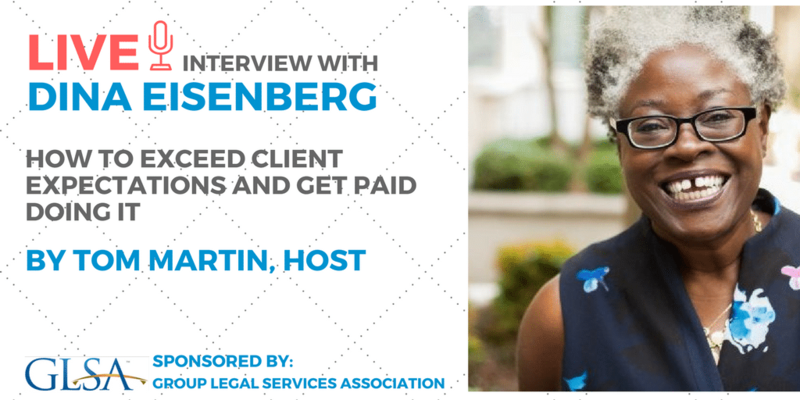 Entitled “How to Exceed Client Expectations and Get Paid Doing It,” this teleconference was an interview of Dina Eisenberg (Intentional Lawyer) by Host Tom Martin (LawDroid) and sponsored by GLSA. 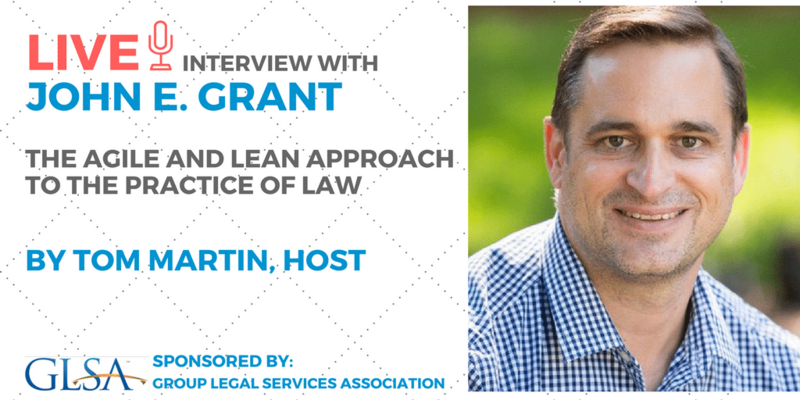 Entitled “The Agile and Lean Approach to the Practice of Law,” this teleconference was an interview of John E. Grant (The Agile Attorney Network) by Host Tom Martin (LawDroid) and sponsored by GLSA. Interview of Matt Holm, CEO of Tali, an Alexa-powered time keeping bot for lawyers, by host Tom Martin of LawDroid. Vol. 1 of LawDroid Conversations with Legal Tech Leaders. 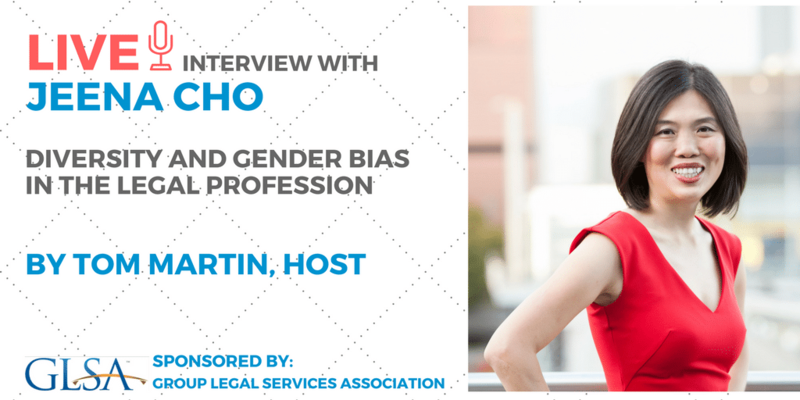 Entitled “Diversity And Gender Bias In Legal Profession,” this teleconference was an interview of Jenna Cho (The Anxious Lawyer) by Host Tom Martin (LawDroid) and sponsored by GLSA. 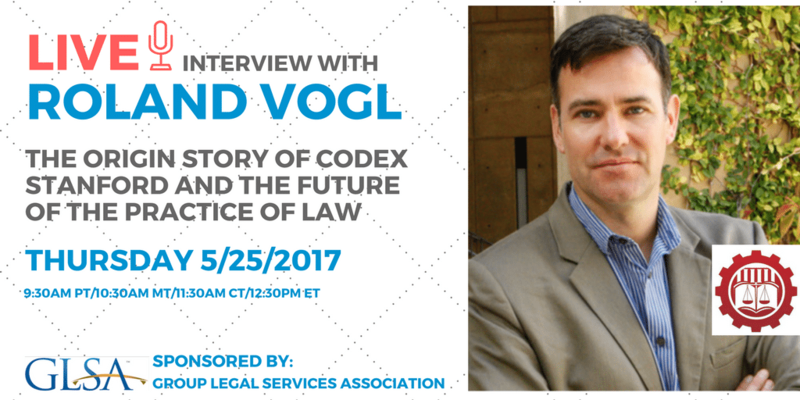 Entitled “The Origin Story Of Codex Stanford And The Future Of The Practice Of Law,” this teleconference was an interview of Roland Vogl of (CodeX Stanford) by Host Tom Martin (LawDroid) and sponsored by GLSA. 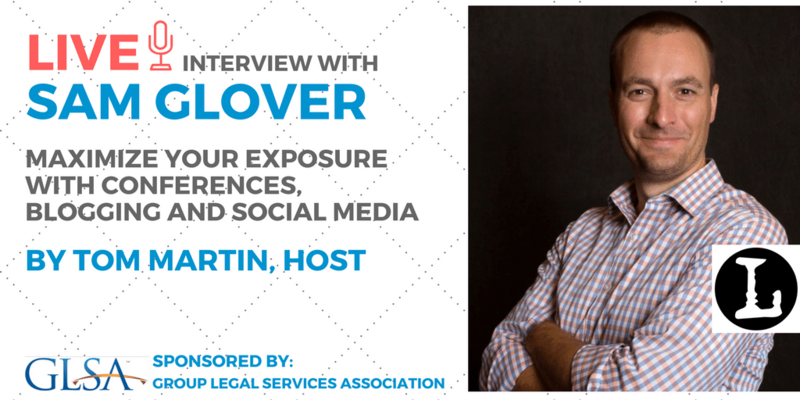 Entitled “How To Maximize Your Exposure with Conferences, Blogging and Social Media,” this teleconference was an interview of Sam Glover (Lawyerist) by Host Tom Martin (LawDroid) and sponsored by GLSA.